Our Boca Raton, FL salon is composed of a group of talented individuals that know more than just a thing or two about haircuts and hair. We live for great hair days and through the years we’ve learned tricks to make those days happen everyday. We don’t believe in keeping secrets, so today we’ve decided to round up our best hair hacks to share with you! Are you constantly battling tiny flyaways that are unruly? Spritz a tooth brush with Goldwell Big Finish hair spray and comb through your roots. This micro-fine spray gives hair great volume while protecting your hair from humidity to help keep those frizzy bad boys under control. For a voluminous blown out look: Wash your hair at night before and apply a volumizing styling cream to your haircut. While your hair is still damp, twist it into a bun on top of your head before you go to bed. The next morning, blow dry the bun for a couple minutes, then let your bouncy hair down. For Boca Raton, FL beachy waves: Apply a styling cream to your hair and section your strands into a few large braids. 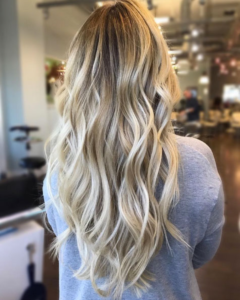 Keep in mind, the smaller the sections/braids the tighter the waves you’ll end up with, so we recommend that that you stick to the “less is more” rule on this one. When you wake up in the morning quickly run a flat iron over the braids and release your hair. Say hello to your overnight waves! Is your hair lacking luster? Use a boar bristle brush when blow drying your hair. This brush will help to bring natural oils from your scalp to your ends. The results are smooth hair with plenty of shine. Are you a gal on-the-go with no time to wash your hair in the morning? Just wash and style your bangs or the front section of your hair instead of your whole head. You can add volume to the rest of your haircut by working in some dry shampoo and styling your hair as usual. Now you can be out the door with time to spare. Have you ever decided to chop off your strands and then regretted it 20 minutes later? It’s ok, its happened to the best of us. At Salon Sora, we offer several types of hair extensions, which are the perfect fix when you are looking for length. We specialize in both tape in and bonded extensions and consult with our clients to find the best option for their needs. 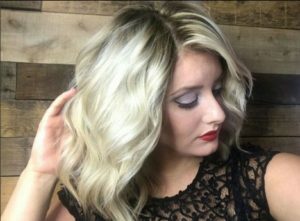 These extensions are also a great choice for those with thin hair and can be applied in specific sections of your hair to add volume to your mane. Are your curls falling out too soon? To get full, long-lasting waves using a curling iron, start from the middle instead of the end of your hair. Using this styling technique will keep your hair staying wavy for longer. Are you constantly battling the frizz? The trick to kick frizz to the curb is to stop it before it starts. After you wash your hair, don’t rub your hair with a towel. Instead, pat your hair in a downward motion using a t-shirt. Yes, you read that correctly. Using a t-shirt will reduce the amount of frizz-causing friction that a traditional towel may cause. What’s the secret to a blow out that lasts for days? Setting it! Once you are done blow drying your hair, dry it with the cool setting for one minute. This will help to lock your style in place. Is your dry shampoo leaving a white residue in your hair? It could be that you are not using dry shampoo properly. Always apply dry shampoo to the roots of your hair and give it a couple of minutes to absorb the oils in your hair. Follow by using a gentle scrubbing motion (like when you wash your hair) to work the product into your hair. We have a few dry shampoos on our list of favorites that we recommend using along with this technique, including the Davines Hair Refresher. This particular product uses a rich starch to soak up excises oil and helps to keep your style in place. Have you ever found yourself in this situation: you have a root touch-up scheduled for the end of the week but need that growth covered RIGHT NOW? You know what we have to say about that? Fake it ‘til you make it. A quick and easy temporary fix is our Color Wow Root Cover Up. This eyeshadow like powder applies with a brush application and it stays in place until the next time you wash your hair. Pro tip: You can even paint golden highlights onto your hair with the blonde shade for a temporary color change. Do you have a hair hack that you would like to share with us? Let us know!